Salzburg is a somewhat rainy place. Museums offer an often welcome indoor alternative to sightseeing in the rain. The city has several noteworthy art galleries, a nice museum of contemporary and modern art, several specialist history or culture museums, a big natural history museum and the particularly recommendable Salzburg Museum, a museum for history and culture of the city and province. Note that this museum has several side-branches. 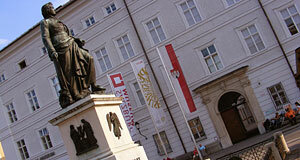 In addition, you will find several private museums in Salzburg that might appeal to you. This list is a hopefully complete directory of Salzburg museums. If we have missed out on any, let us know and we will include them.